Nancy Pelosi, the only woman who has held the office of House speaker, was elected to the office again Thursday, becoming one of few officials to return to it. She first served as speaker from 2007 to 2011 and received 220 votes in Thursday's vote among members of the House. The last time a speaker regained the gavel was more than a half-century ago. In accepting the gavel, Pelosi gave a nod to the new era of divided government with a pledge to "reach across the aisle in this chamber and across the divisions in this great nation." "The floor of this House must be America's Town Hall: where people will see our debates and where their voices will be heard and affect our decisions," she said. "Transparency will be the order of the day." In previewing Democratic priorities, she talked about lowering health care costs, investing in green infrastructure and "to restore integrity" to government. Among the House's first orders of business, she said, would be to offer a vote on Senate Republicans' funding package that would re-open the government as soon as possible. "We must be champions of the middle class and all those who aspire to it, because the middle class is the backbone of democracy," she said. Late Thursday, Democrats approved legislation to re-open the government — but without the $5.6 billion in wall money, which means it has no chance in the Republican Senate. Pelosi was called a "legendary legislator" as Rep. Hakeem Jeffries, D-NY, nominated her for speaker. 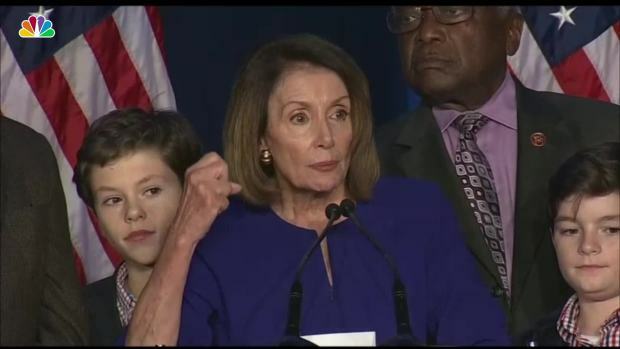 "Let me be clear, House Democrats are down with NDP — Nancy D'Alesandro Pelosi, the once and future speaker," Jeffries said. Republicans nominated Rep. Kevin McCarthy, also of California, to lead their party. Pelosi knew this moment would come, even if others had their doubts — or worked to stop her. Pelosi remains a highly polarizing figure, vilified by Republicans as a San Francisco liberal and a caricature of big government. But she is also a mother of five and a grandmother of nine who has broken barriers to become one of the most powerful politicians of the 21st century. 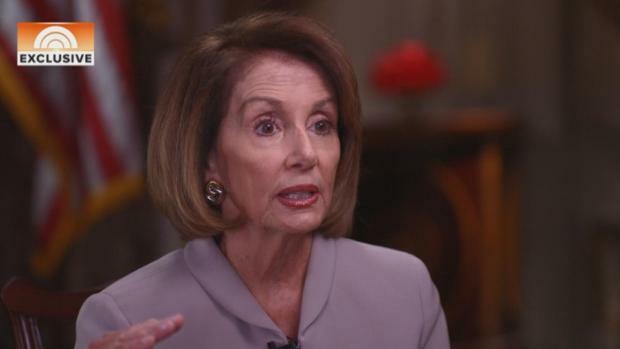 "This isn't breaking a glass ceiling, this is breaking a marble ceiling in the Capitol of the United States," Pelosi said in a "Today" show interview that aired Thursday morning. She sees being Republicans' vilification as proof of her effectiveness as a legislator and politician, Pelosi told "Today." She sees her position as the most powerful woman in government as a responsibility rather than an accomplishment. 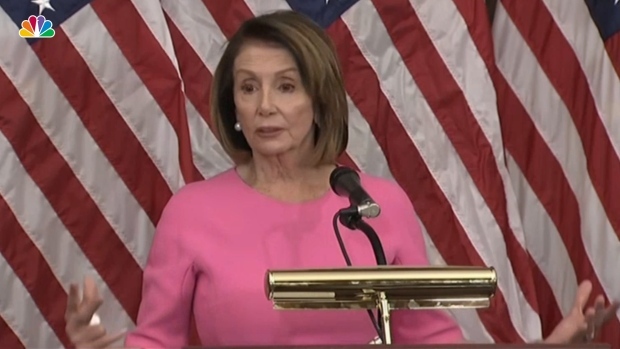 Asked on "Today" if she thinks Trump will deal differently with a woman, Pelosi said, "I have no idea. We'll see how he will deal with speaker of the house. … I hope he recognizes a new day has dawned in America."